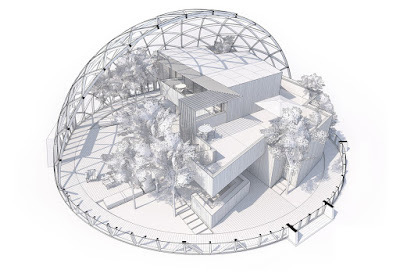 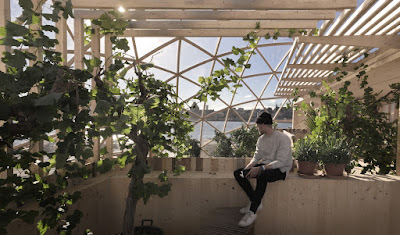 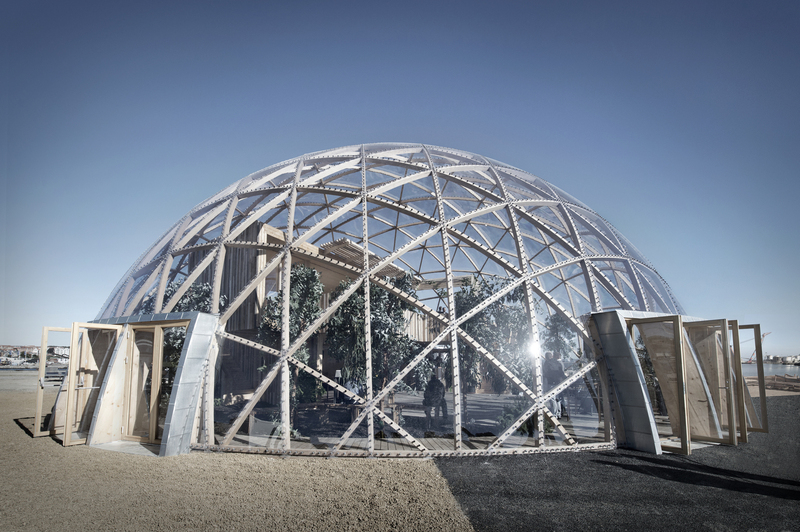 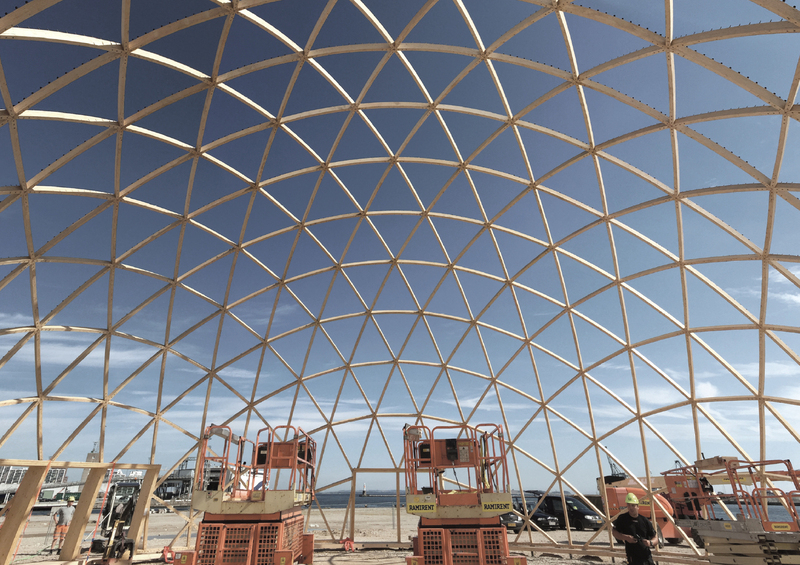 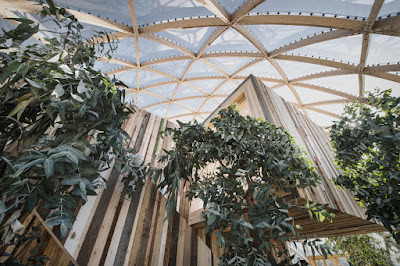 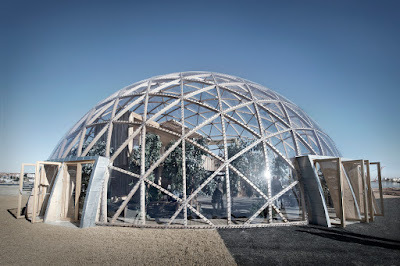 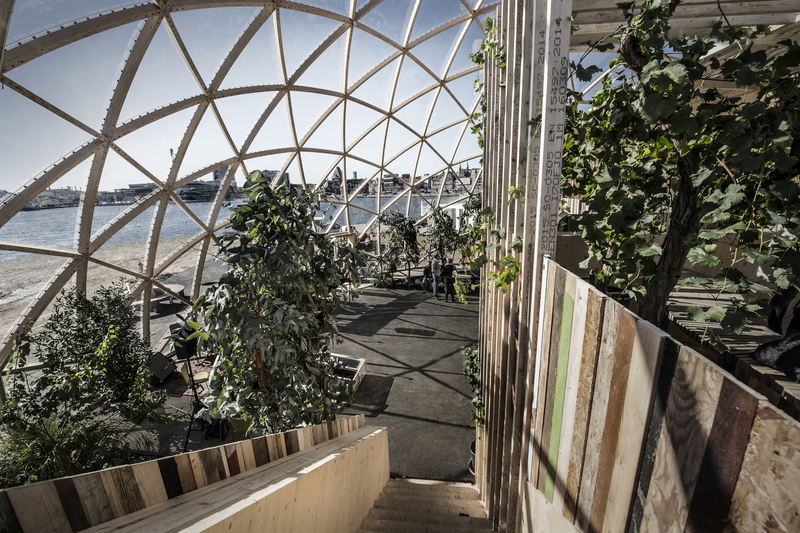 A dome shaped timber greenhouse in Aarhus, Denmark. 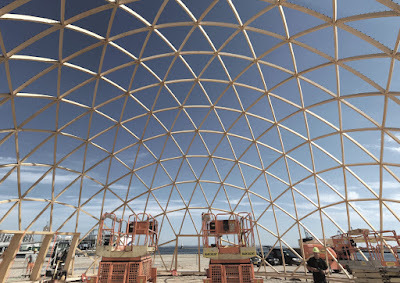 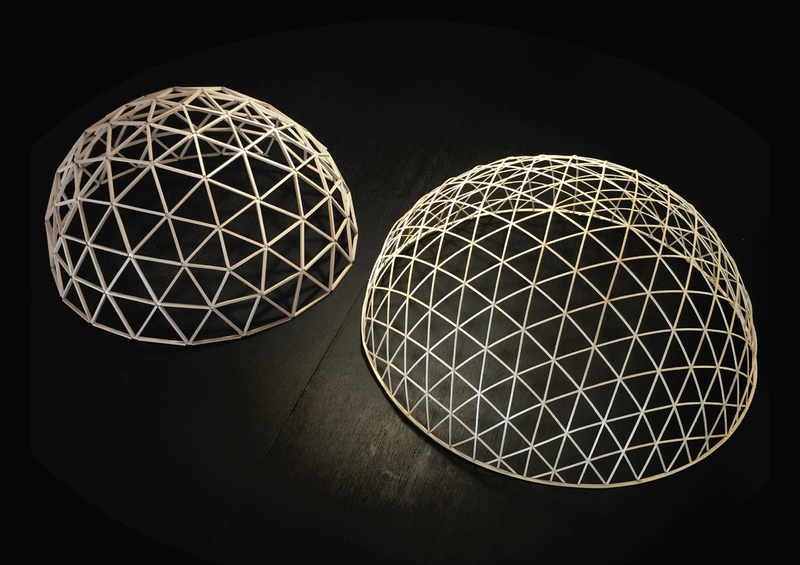 Dome of Visions 3.0 is the third dome in a series of experiments. 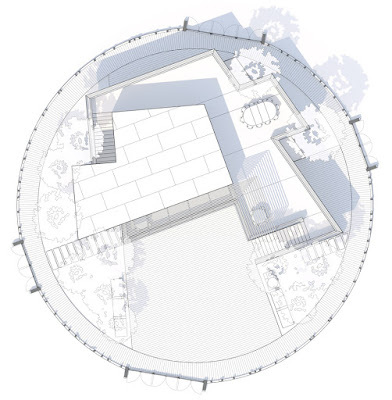 DoV is an experiment that aims to create knowledge about how it affects our architecture and our well-being to build inside a greenhouse and work with a passive and solar heated space as a building envelope that generates a third climate, as the majority of the area we use.